The games were a huge success and over 1000 people attended the event.So much fun was had ion the day by all who attended. The success was due to all the work that was undertaken in preparation in the previous months. The facebook page reflects well the Games but there will be a lot more photos going up from the official photographer. 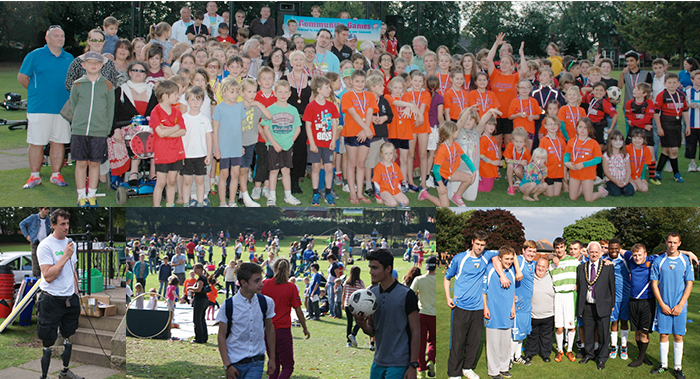 For the next 12 weeks, as a result of gaining national funding, there will be ongoing activities in the park and later on indoors at Marches school and TNS, to encourage people of all ages and abilities to be more active on a regular basis. 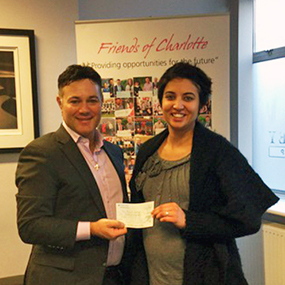 Clive Knight said" We thany the foundation kindly for their contribution and making the day happen. Many thanks again." We have received a very kind donation of £100.00 from Llanymynech Football Club, monies raised from their recent charity evening. 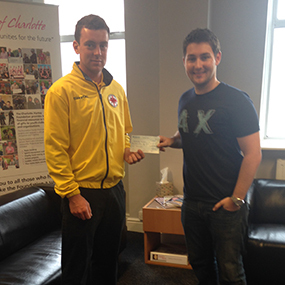 Club Treasurer Jack Roberts (left in picture) dropped the cheque in to Tristan Hartey. Thank you so much to all. 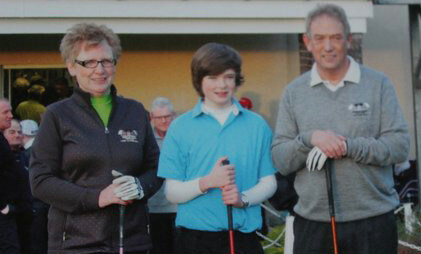 The Foundatione wishes to thank Henlle Park Golf Club, Gobowen, Oswestry, Shropshire and in particular to the Club Captain Mrs Doreen Nicol for making the Charlotte Hartey Foundation their chosen charity for 2013, we are very pleased to announce that they raised a super £3,665.00. We are a Social Business, based in Oswestry making public art commissions and designing craft products for retail. All our designer makers are adults in touch with mental health services. We have our roots within the NHS and started as part of day care services in 1992. In 2003 The Project Group was established as an independent organisation and in 2006 registered as a Community Interest Company. To this day we have very strong connections with the NHS and referrals come through Community Mental Health Teams, Substance Misuse and Domestic Violence services. Our work is nationally renowned and in 2011 we received the Queens Award for Voluntary Service. We provide 2 fully equipped studios for ceramic, glass fusion, mosaic, textiles, screen printing, wood carving, plastics and metal work. Our studio is accessed 2 days a week by 50 plus adults with mental health issues. We are also open one day a week delivering training workshops for new referrals. We deliver public art commissions for public, private and third sector organisations and have produced a small but growing retail range available to the general public via ecommerce and in house sales. Your donation of £1000 is contributing to a partnership project with New Century Court in Oswestry. We will work together on a complete ‘makeover’ of their communal spaces and outside spaces. This could include screen printing curtains, printing wallpaper, making textile hangings, and outside possibly a mosaic path or a bespoke bench. New Century Court is a branch of The Bromfield Housing Association which caters for young people 16yrs – 25yrs who are in transition. This could be caused by family breakdown, substance misuse or a spell in prison. In this project we will bring together two marginalised groups to develop new skills and design ideas. The space will be transformed and this has benefits both socially and emotionally. We are matching your grant with money from West Mercia Police Commission who are funding projects that address crime reduction.